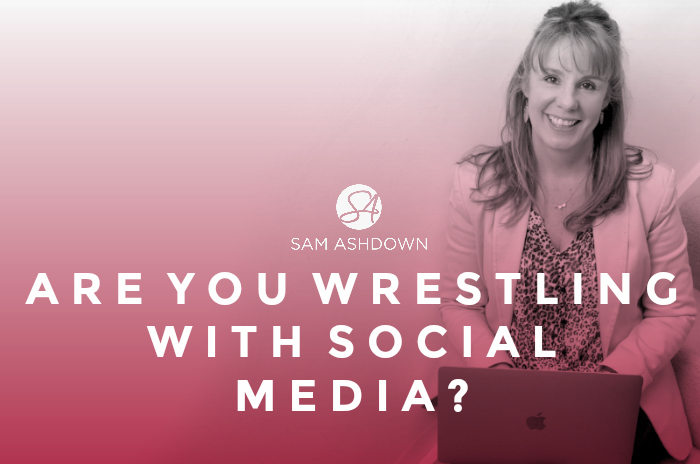 Are you wrestling with Social Media? **STOP PRESS** BOOK YOUR SPOT HERE FOR REPLAY WEBINAR – LAST CHANCE! Feeling overwhelmed and totally confused? Trying to work out your Tweets from your Likes? The training will be offline (workshops) and online (video training), and it will be the most comprehensive and relevant training in the industry. Let me know what you’d like me to include? You may be relieved to know that the answers to these, and many more of your burning questions will be answered in my brand new Social Media training – SMASH it Social, which launches next week as both online and offline training. I have specifically designed the training to be handed over to whomever you have delegated Social Media to in your company. This means that you can relax knowing they aren’t going to mess it up! Offline Training: Smash it Social Full and Half Day Workshops coming to a town near you! Fifteen venues throughout the UK in January, February and March next year. “I was feeling really overwhelmed by Social Media and felt like I didn’t know anything about it (apart from using Facebook a bit personally). If you’re ready to find out more now, just go here where you’ll find all the information you need about the training and workshops. If you’d like to attend my free webinar Social Media for Estate Agents – (or how not to be a dinosaur) on Friday 12th December, then click here to book your free place before they all get snapped up! If you have any problems registering, please email Tracy@home-truths.co.uk. Previous post Know it all, yet? Next post Are you an Award-Winning Agent?